The Auschwitz Institute for Peace and Reconciliation (AIPR) is proud to announce the opening of the second phase of its project in Brazil entitled Citizenship and Democracy in School, as well as the publication of an audiovisual product that summarizes the initiative’s work thus far. 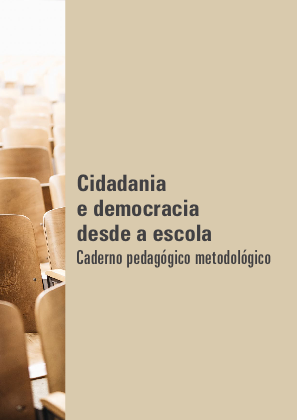 Developed during its pilot phase, which ran throughout 2018, the project’s primary objective is the promotion of the acquisition of knowledge and abilities related to human rights and democracy among Brazilian public school students. In 2018, the initiative’s successful development was made possible by its pilot phase, which was rolled out in seven of the country’s public schools – two in the Federal District of Brasilia and five in Sao Paulo – in collaboration with the Secretaries of Education from each state. Overall, the project involved the participation of 15 teachers and approximately 650 students. In consideration of the interest displayed by participating schools and positive results that emerged from the pilot phase, AIPR’s Educational Policies Program has decided to continue this line of work in 2019 with the intention of consolidating and expanding the project in order to replicate the initiative in additional locales throughout the country. The formulation of the project began on November 30, 2016 when, in collaboration with the Federal Prosecutor for Citizens’ Rights and the National Secretariat for Citizenship of the Ministry of Human Rights – both Focal Points of the Latin American Network for Genocide and Mass Atrocity Prevention ­– AIPR put into motion an initiative with the objective of designing an educational project that services to contribute to reinforce the culture of human rights and democratic values in Brazil. To guarantee the relevance, legitimacy, and quality of the proposal while responding to the specific realities of the Brazilian context, in 2017 the Auschwitz Institute devised a consultative process with the objective of discussing the design and format of the project. In total, four meetings in Sao Paulo and Brasilia were held that brought together 100 participants from across the country, including representatives of civil society, educators, young people, and public officials. Following these processes for dialogue, it became possible to proceed in the development of a specific proposal, centered on the design of an educational methodology for working in public schools at the primary and secondary levels. The central objective of the methodology is to make a contribution to the creation of scholastic spaces for dialogue based in plurality and respect. Young Brazilians will use these spaces to develop tools for interpreting and considering the challenges presented by the society within which they live from a perspective emphasizing respect for human rights and democratic values. Adapted to the country’s normative standards in education and engaged in direct work with instructors from the public network, the project works to aid in preventing the rise of prejudice, intolerance, and discrimination. It offers young people instruments for the creation of a more tolerant, participative, and solidarity-minded society. With help from an expert consultant, the Auschwitz Institute developed a methodological guidebook in 2018 entitled “Citizenship and Democracy in School” (which is currently in its second revised version). The guidebook was conceived as a guide to aid teachers in the execution of the project over the course of a scholastic year, with special emphasis on two particular phases. The first takes as its objective the design of a series of questions for students, capitalizing on an open and participative educational methodology. Divided into 5 axes, this first phase covers a series of themes including: 1) identity and diversity, 2) dignity and respect, 3) human rights, 4) democracy and the right to information, and 5) citizenship, cooperation, and solidarity. The second phase works to stimulate the participation of students through the development of their own projects, created in groups, which use videos in order to explore and develop their own interests and concerns. 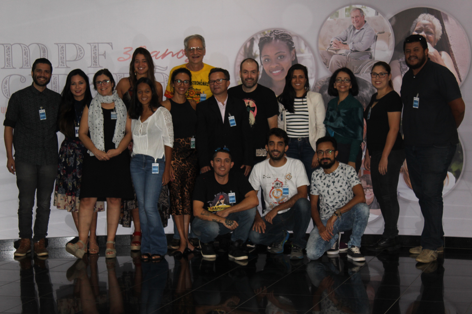 Following the establishment of a cooperative framework agreement with the Secretaries of Education of Sao Paulo and Brasilia, in March of 2018, the Auschwitz Institute continued the project’s pilot phase by organizing a training seminar for participating teachers which covered the project’s proposal and primary themes. Throughout the implementation phase of the project that followed, AIPR accompanied the ongoing work through its finalization in December of 2018. At this point, several events were organized at the participating schools to display the students’ completed video assignments. Additionally, to best learn from this process and measure its results, the Auschwitz Institute established a rigorous framework for evaluating the project’s progress. The resulting evaluation process gathered information from the students through questionnaires distributed before and after the implementation of the project, as well as through surveys and group discussions with participating teachers. For the development of the project’s pilot phase following the establishment of a cooperative framework agreement with the Secretaries of Education of the States of Sao Paulo and Brasilia, the Auschwitz Institute organized a training seminar for participating teachers covering the proposal and themes covered by the project in March of 2018. Beginning with the implementation phase of the project that followed the training efforts, AIPR accompanied this work through its finalization in December of 2018, at which point several events were organized at the participating schools to display the completed video assignments produced by the students. Additionally, to learn from this process and measure the results, the Auschwitz Institute established a rigorous framework for evaluating the project’s progress. The evaluation process gathers information from the students through questionnaires distributed before and after the implementation of the project as well as through surveys and group discussions with participating teachers. Considering the excellent results obtained by this first step, the Auschwitz Institute and its partners have recently inaugurated the second phase of both consolidation and expansion of the project. From March 13-16, AIPR organized a training event for 30 teachers and pedagogical coordinators from 10 different schools within the First Regional Directorate of Education in Sao Paulo. Similar, during the final week of March, AIPR’s Educational Policies Program organized two trainings in Brasilia with 30 participants belonging to more than 15 different schools in the Federal District. This training was held in collaboration with the Federal Prosecutor for Citizens’ Rights, the Ministry for Women, Families, and Human Rights, as well as the Office of Field Education, Human Rights, and Diversity as well as the Preparatory School for Professional Teachers, which belong to Brasilia’s Secretariat of Education. In 2019, the Auschwitz Institute anticipates involving a total of 70 teachers and coordinators from up to 26 schools, as well as an undetermined number of students, in the project. Moving forward, the prioritization of expansion efforts will serve as a bridge for expanding the project to other Brazilian states in 2020. The experience of working directly with teachers and students from the public education system in Brazil has been especially gratifying. In a moment of such social polarization as the present moment, being able to bring a series of themes to the classroom in a responsible and respectful manner constitutes an important initiative. This also explains why the proposal has been so well received, not only by teachers and students, but also by the professionals and specialized managers who work on these themes. The perspectives for 2019 are very positive and we’re very excited to continue working to create pluralistic and inclusive contexts in schools which demonstrate the importance of pursuing prevention through education.